Bulanglang is a healthy vegetarian dish well known in the Philippines. It is a rich soup dish popular in Southern Tagalog, particularly in Batangas, Laguna, and Quezon. It is a mixture of commonly available backyard vegetables cooked with bagoong and sedium fish. This simple recipe of fish, bagoong, vegetables, and soup will make for a tasty dish. Every meal time will be wonderfully enjoyable when this is served. 1. 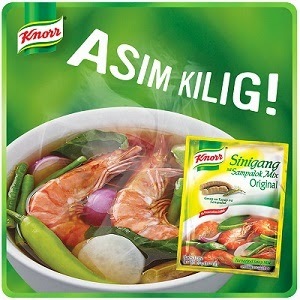 Stir in Knorr Fish Cubes in boiling water. 2. Add kalabasa, gabi, onion, tomatoes, patola, and sigarillas and cook until vegetables are almost tender. 3. Add fish and bagoong and simmer until fish is cooked. 4. Add saluyot leaves, simmer for 2 minutes, season with salt and serve.